Our range of products include stainless steel tower bolts, ss tower bolts, brass tower bolts and aluminium tower bolts. Highly acclaimed organization in the manufacture and supply of Stainless Steel Tower Bolts, we have become the leading organization in this field. These tower bolts are widely used for the fastening purpose and are manufactured from the best quality brass sourced from our trusted vendors. These brass tower bolts could be availed in plenty of range and reliability differentiates these bolts from the similar such bolts available in the market. The expertise of our company is in the manufacturing SS Tower Bolts. True to its name, these tower bolts are manufactured from the stainless steel procured from our genuine vendors. These tower bolts are coated with an anti-resistant material which provides protection to these from the unwanted factors such as harsh temperature and abrasion. These tower bolts are used for the variety of related purposes. We manufacture an exclusive collection of Brass Tower Bolts. Our manufactured brass tower bolts have a perfect blend of strength, finish and gracious looks. 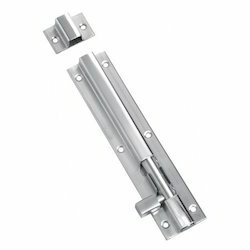 These are perfectly suitable for all the bolting needs of windows and doors at homes, offices, and hotels. Brass Tower Bolts made from solid extruded brass, solid cast brass and machined, befitted with accuracy for smooth and easy performance. We are manufacturer and wholesaler for Aluminium Tower Bolts. Excellent quality stainless steel tower bolt is available with us. 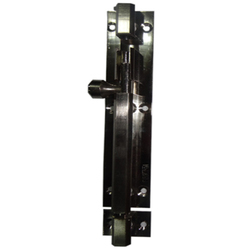 The ss tower bolt manufactured by us is of latest technology as we have our strong believe in quality manufacturing. The designs we are offering are not only attractive but also very comfortable for the users.